Over the past couple weeks we’ve learned about top secret government programs designed to seek out terrorist who wish to do harm to the United States of America. 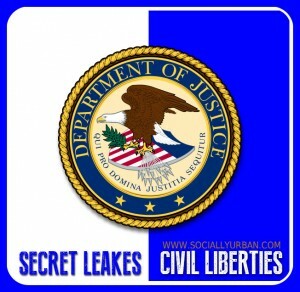 What started out as a small leak has turned into a gushing waterfall of classified top secret information. First we had a story about the Department of Justice secretly seizing two months worth of phone records from the Associated Press without a warrant. These records were seized in an effort to identify the Associated Press’s informant who leaked very sensitive classified material to an AP reporter that jeopardized an ongoing CIA mission and could have cost the lives of those carrying out the clandestine mission if the target became aware of it. Keep in mind that the DOJ only obtained the numbers called both inbound and outbound, but never listened in on any phone conversations or asked to see transcripts from any phone conversations. A few days after that story broke another revelation came to light. The DOJ obtained a warrant for Fox “reporter” James Rosen’s email account to find his source for a 2009 report about North Korea responding to a United Nations sanction with a nuclear missile test. Yesterday another classified leak of US intelligence occurred. Cellular service provider Verizon complied with a top secret court order (issued in April 2013) to give the National Security Agency information on all phone calls from all of their customers in an indefinite ongoing daily basis. Then before we had time to digest this troubling occurrence, another government surveillance story broke. A reporter from “The Guardian” uncovered a top secret government program called PRISIM that allowed them to access or monitor any US citizen’s internet use and read anyone’s email. If proven true, all of these secret surveillance operations are a stain on Obama’s presidency, a stain on law abiding American’s civil liberties, and a stain on the credibility of the DOJ and the NSA. I have to say this is the most disappointing and troubling part of an otherwise amazing presidency. We all know president Obama is a pragmatist but his unbelievably fast evolution on the issue of civil liberties makes me determined to find out why. Before he was elected president his position on Bush’s far reaching Patriot Act was very clear. He was very vocal about his opposition to most of the bill. Especially the statutes about government surveillance on law abiding citizens. After he won the election all of this changed. If I were a cynic I’d chalk it up to politics and probably believe that he knowingly misstated his position to get elected. But that’s not the Obama I know. Everything about his life shows a man with immense integrity, so I have to give him the benefit of the doubt. I think his change was prompted by some pretty scary intelligence that only him and a few top advisers are privy to. Being president has a huge burden that comes along with the job. You are responsible for 300 million people every day of your life for 4 to 8 years. The fate of the entire county rests in your hands and every decision you make could have dire consequences. I’m not making excuses for him infringing on American civil liberties, but I can understand why he may feel it necessary to do these types of things. It’s easy for me to feel outraged by it all when my outrage carries no consequence. So as you watch these issues unfold in the news, please keep that in mind and respect the enormity of that type of responsibility. These are complex issues and the president has to weigh the safety of nation against what is allowable by law. If his actions are indeed legal, then we have to ask ourselves if we’re just going to criticize pontificate and debate endlessly whether or not we feel comfortable with the government having this tool available to them, or are we going to push our elected officials to remove the legal ambiguity that was purposely written into bills such as the Patriot Act? Government as an institution will never voluntarily make itself less powerful, nor will any president. For that to happen the people have to be united, organized, and dedicated to restoring the principles that made this country great. I’m not willing to give up my civil liberties in order to maybe possibly probably catch one or two suspected terrorist every now and then. We are the smartest most technically advanced country in the world so there’s no way anyone can convince me that spying on law abiding Americans is the only way to fight or prevent an act of terrorism.